Open Saturdays from 10:00 a.m. to 1:00 p.m. 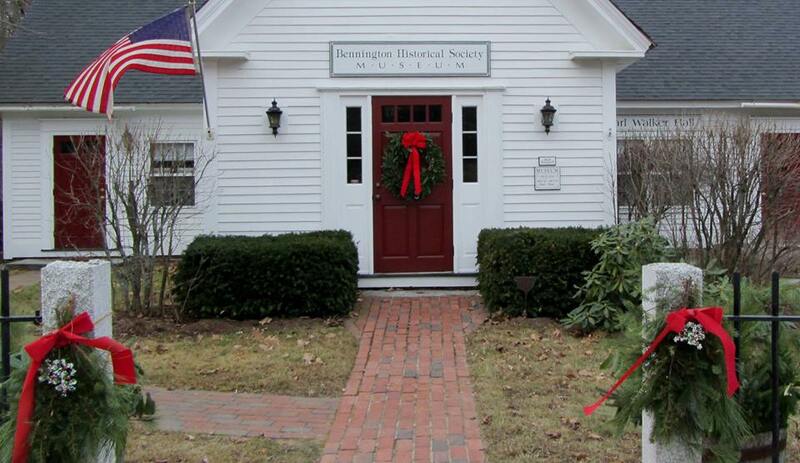 The Bennington Historical Society was established in 1984 to collect and preserve antiques and literature that pertains to the history of Bennington, NH. As the collections grew, the Society needed a home for these historical artifacts. The Town gave the Society a building that was originally built in 1852 as a pest house for the Town of Bennington to isolate those who were suffering from the small pox pestilence. The building was later used as a tramp house, jail house, and then storage for the fire station. After lots of fund raising, community suppers, raffles, auctions, etc., the Society was able to purchase a plot of land from Monadnock Paper Mill. In July 1992, Ron McClure and Donald Glynn organized the move of the building to the former Woods-Kimball Cutlery Shop site at 38 Main Street. Restoration started immediately. This was the beginning of a new landmark for the Society and the Town of Bennington. Since this time, the Society has added the belfry and bell and two additional museum rooms were added thanks to the generosity of Pearl Walker. Her gifts made the additions possible, which reflected her fondness for Bennington. Following years of research and planning, in 2010, the Historical Society celebrated Bennington’s downtown district as being listed on the State and National Register of Historic places in New Hampshire. The three-year project included cataloging and describing 137 historic buildings, sites, and structures in the downtown village district. These histories will be digitized in national records and will be histories that will never be lost. The Society continues to accept donations of historical significance for the enjoyment of future generations. We are also accepting new members. Please call the museum if you have any historical artifacts would like to donate or if you would like to join the Historical Society.